This, the seventh, post will cover S-V of cat breeds. 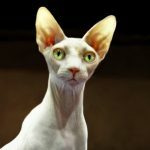 In the follow-up (and final) post I will look into cat breeds from W-Z… basically I am doing an A-Z of cat breeds, covering 1-3 breeds per letter. If I do not cover the breed of your cat in this post, and you would like me to; please leave the breed in the thoughts comment box below, or post it via the contact page, or get in touch via any social media pages listed at the end of each post – this way I can include your breed in another post (either the follow up, or a repeat with different breeds). 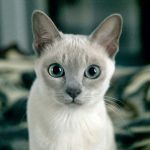 Do the same if you want more information than I have provided on any particular cat breed, or if you would like to share a photo of your cat(s)! Colour(s): White, Blue, Cream, Red, Silver, Cameo, Brown, Tortoiseshell, Black – in solid colouration, bi-colour, tri-colour, tabby, ticked/spots. 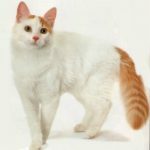 Breed History: The origin of this breed is said to stem from a mouser in a farmer’s barn in 1961; a white cat with unusually folded ears, named Susie. Susie mated with a local tom cat; a local shepherd named William Ross acquired one of the kittens and named her Snooks. William bred Snooks, and then bred one of her kittens with a British Shorthair, which resulted in a litter of “lop eared cats”. 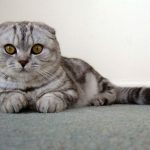 While the Scottish Fold is generally Shorthaired, from Susie the trait for Longhair has been passed down – a Longhaired Scottish Fold is often known as a Highland Fold. Outstanding Physical Trait: The folded ears. kittens are born with straight ears, which may fold at about 3 weeks old (they do not always fold). 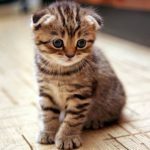 The fold could be a single – a fold half way up the ear, or a double – where the ears sit tighter to the head, or a triple – where the ears lie flat against the head (which is the desired ear fold for show cats). 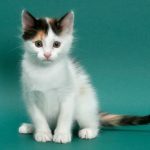 Breed History: Developed as a breed in the mid-1960’s, when a domestic shorthair had a hairless kitten in her litter (named Prune). 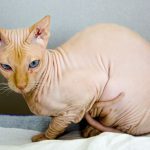 Prune was a male, and bred with furred cats (including the Devon Rex) to try and produce more hairless kittens. The results of the breeding of Prune was litters that had kittens both with and without fur. 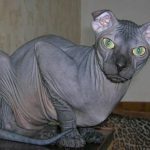 The hairless kittens were subsequently bred and the breed developed into the mid-late 1970’s. Some of the hairless kittens were also exported to Europe, where the breed was developed there. Outstanding Physical Trait: The lack of hair/fur. Colour(s): Champagne, Blue, Natural, Platinum – in solid, point, and mink patterns. Breed History: The modern version of this breed that we see today is a cross between the Siamese and Burmese, developed in the 1950’s. 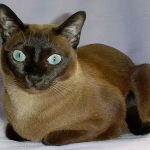 However in the 1880’s it was a breed in its’ own right, but were known as Chocolate Siamese, and was very close genetically to the Siamese and the Burmese. In the 50’s they went by Golden Siamese but by the 60’s they were renamed to Tonkinese. Outstanding Physical Trait: The oriental but fuller look – not quite a slender as most oriental type breeds. 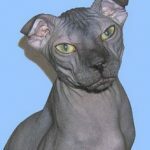 Breed History: A cross between the Donskoy (or Russian Hairless) and the Scottish Fold (above) – this is a hairless cat with folded ears, artificially bred 2000-2001 for their unique appearance. Outstanding Physical Trait: The lack of hair/fur coupled with the folded ears. Colour(s): Traditionally white with auburn throughout. Modern accepted colours include white with cream, black, blue, tortoiseshell (tortie), blue tortie, blue tabby, brown tabby, tortie tabby or blue tortie tabby. Breed History: There is a myth relating to the origin of this breed; the Van Kedishi cat was on Noah’s Ark during the flood. Noah’s Ark came to rest on Mount Ararat when the flood was over, which is said to be not too far from Lake Van, and is where these cats headed once they cam off the Ark. It is also said that the coloured markings on their fur are due to God blessing the animals as they came off the Ark. Thought to have originated in the Lake Van region of Turkey, and to have existed there as a domestic breed for centuries, but first brought to Britain in the 1950’s. Outstanding Physical Trait: The van colour pattern – white with colour on the head and tail only. 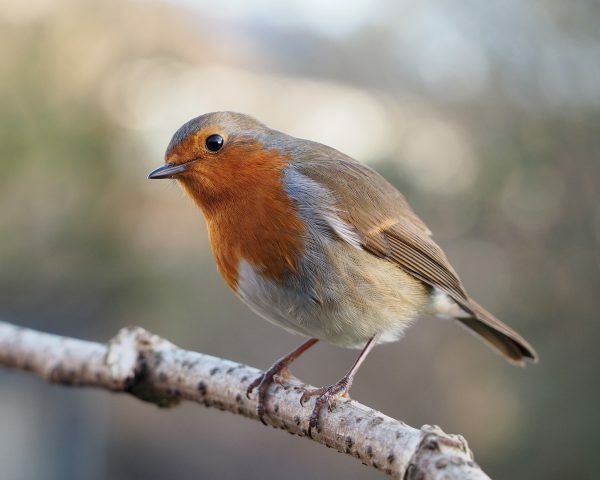 National Bird Day is on 5th January every year; it is scheduled for the end of the annual Christmas Bird Count. The count helps to monitor our nation’s birds; members of the public go out and count as many birds as they can see during the three week count. It is estimated that approximately 12% of the population of all bird species could face extinction within the next century. Many parrot species and songbirds face extinction due to illegal trade (see my post about the Javanese Songbird Trade for some related information), disease, and loss of habitat. Today, National Bird Day, is to promote care and conservation of birds, as well as to raise awareness about their decline. It also marks the end of the Christmas Bird Count – which monitors wild populations to measure the numbers of individuals. 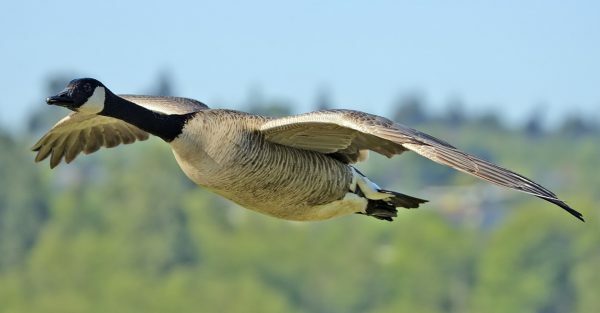 Many countries have a national bird, and I am going to use a few as examples to show the importance of National Bird Day, and the conservation of birds. 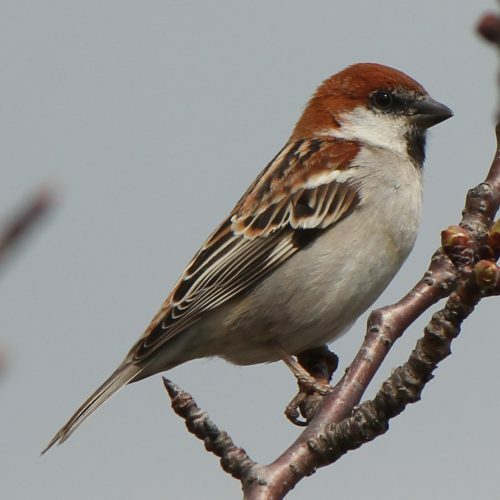 The population of this bird has increased by 45% since 1970! The current count is 117,000,000-181,000,000 mature adults in Europe alone. Estimated population of 300k-500k (k = thousand) in the 1700’s; the current population is now 70k in North America, and just 5k in the South. However numbers were as low as only 500 in mid-late 1800’s, so the population has increased again. The current population is 10-20 million individuals (5-10 million pairs) however have been classified as vulnerable due to their rapid decline at a rate of 54.2% between 2000 and 2015. This species has steadily increased in population at an estimated rate of 3% between 1998 and 2007. In 2015 the estimated population was 4.2-5.6 million. With the information from bird counts, we can take active steps to help conserve species when they need it – to show us the most vulnerable or endangered species, so that we can take steps to avoid their extinction. Sadly, the presentation form of the Annual Report is, again, unavailable this year. Usually, this is kindly provided by Word Press – with the fireworks, and stats all done for you. In the absence of this, I have again produced my own (if you’re interested)… using the Word Press provided report/information for the different sections. A London Underground Tube holds (approximately) 876 people. This blog was viewed about 7,437 times in 2017. If it were a London tube, it would take over 8 trips to carry that many people. The busiest day of the year was January 7th with 145 views – with the most popular post viewed that day being Shamu: Tilikum. This was closely followed by 89 views on October 11th – with the most popular views that day being My Work and International Tiger Day. 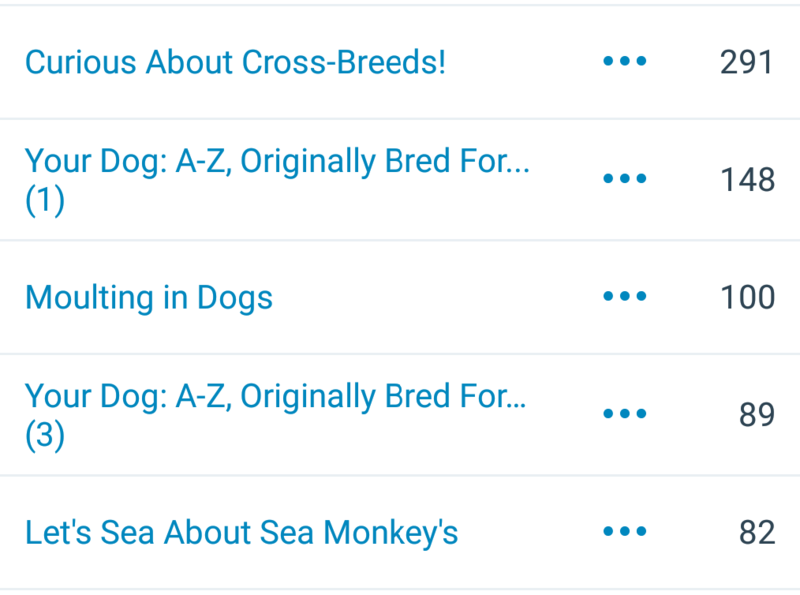 The best day overall in the history of Ali’s Answers is still May 2nd 2016 with 244 views – with the most popular post viewed that day being Curious About Cross-Breeds. In 2017, there were 21 new posts, growing the total archive of this blog to 118 posts. Some of my most popular posts were written before 2017. My writing has staying power! 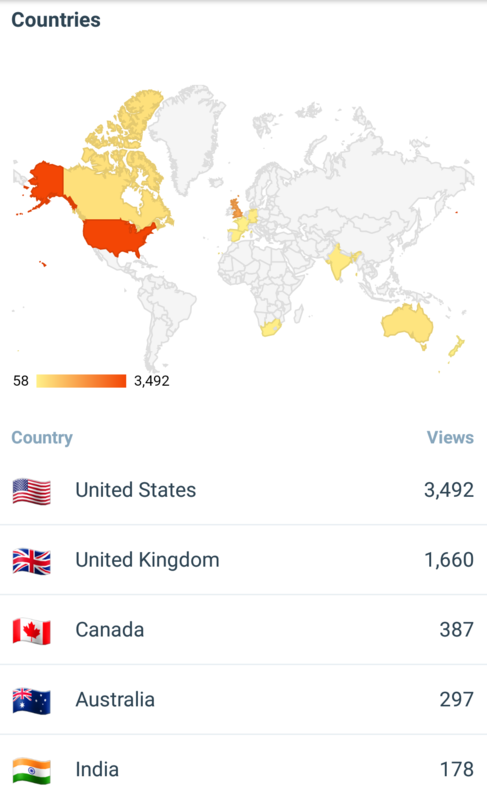 Top 3 Countries: USA, UK, Canada.